It is nice to be able to show you the photos I’ve had up on Instagram this last week. I will put them into a gallery for you, but first I want to talk about something. I don’t try and sell my images. It isn’t that people can’t buy them, I just don’t see the point in trying to push it. I don’t want to sell my images for small change and I find that most people on the internet want them for free, or for that small amount. When you buy one of my images you are buying my experience and expertise. That hasn’t come cheap. I have a three degree behind me, I have spent thousands learning how to use Photoshop and Lightroom. My gear has cost me a lot of money as well, so I don’t want to give away my work. I am an artist and I would like to be paid accordingly. I know that most people don’t want to pay me what I think my images are worth, fair enough, and I get that. However, I get emails from people all the time wanting to know how much an image would cost, when I tell them, I never hear from them again, I don’t even get an answer to say they can’t afford it, or no longer want it. In response to this I have now added a price list to this site, so hopefully I will stop getting those emails. If you are interested in purchasing one of my images then before you send the email please take a look at the list, here is the link, Price List. Shall we take a look at the photos from Instagram this last week? Your pricing is certainly fair enough, but I’d like to address the “people want photos for free” idea. The general public NEVER bought photos, except for portraits and weddings. Most never bought art in general, although they do know paintings and etchings, and they generally believe that paintings “should be” more expensive that photographs. I recall my mother cutting famous paintings out of magazines and putting them in cheap frames for the walls of our house, because in the 1960s we only had so many frame-worthy photographs of our family. Now everyone has a camera, and has had since the 1980s. The public takes lots of photos, and sees lots of really impressive photos, previously in newspapers and magazines, now online. They’re mostly happy if the photos are high enough resolution to look good on their phones, and they have no concept of what you’ve invested (ignoring the actual costs) to get that awesome waterfall photo at a place THEY will never visit. Not to mention that they have no concept of what fine art costs in general, but they do know that they can get an 8×10 print of a photo for a couple of dollars, so how can you charge a couple of hundred dollars for one? It’s not that they want it for free, they’ve just never been trained that photography is an art form just as much as painting and deserves just as much respect. And I fear we missed that opportunity 50 years ago. Thank you, glad you think my prices are okay. I guess you are right and I hadn’t thought of it like that, but when I was photographing cycling it was really bad, kids would steal the photos all the time and put them on Facebook and not pay for them. So I had a lot of trouble there. Thank you, that is all I can do, I just hope people stop contacting me unless they are really interested. 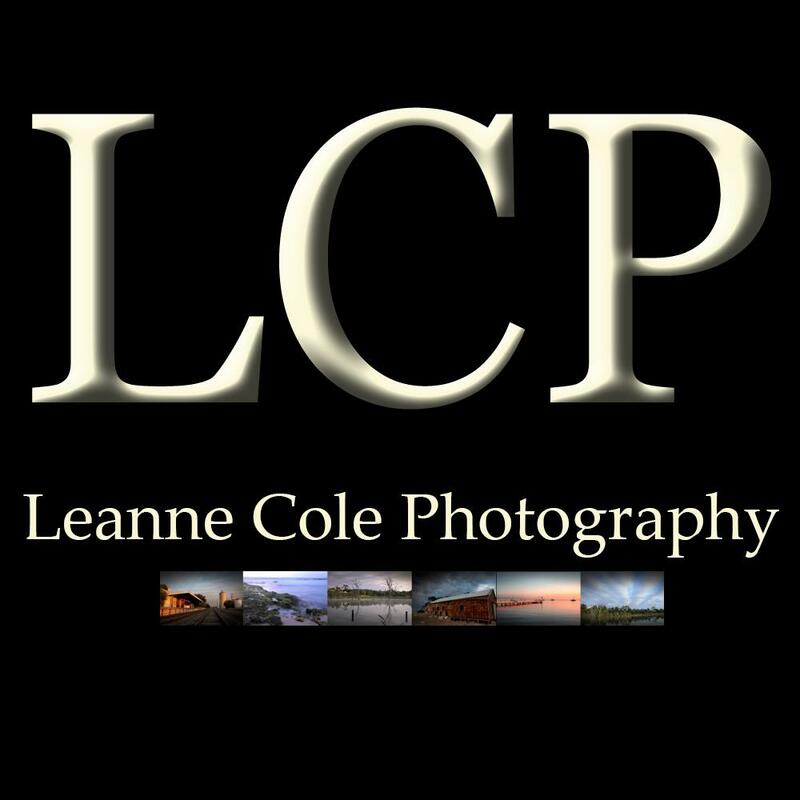 Your photos are extraordinary, Leanne, and I hope you do get to sell more of them to people who really ‘get it’. It seems a common lament from photographers that people are not willing to pay for images anymore – they see them online and think they have the ‘right’ to get them for free. I don’t understand why. After all, you’re not just buying the image – you’re also acknowledging and financially rewarding the dedication and professionalism of someone who has spent years honing their craft, gradually improving the quality of their gear, learning all the necessary skills etc. If they really were to try to ‘replicate’ the image, rather than buying it, they’d soon realise that a lot of hard work and skill, and a fair bit of luck and great timing goes into it all. Thank you Reggie, that is great feedback. I know the mentality of the internet is a little sad. You have put it in such a great way, it is so true. There is so much that goes into an image, they never get it. Good for you! Never undersell yourself. You’ve worked too hard to give your work away for a pittance. It’s like people who think I can whip up a quilt overnight. They have no idea of the effort that goes into creating something. Thank you Carol, I think so too. My mum gets that with the quilts as well, they don’t, I think sometimes they don’t want to know. Well said Leanne! I think it’s a problem with trying to sell anything artistic – I used to have an art gallery here and people never understood the prices for a painting let alone for a photograph. As you say, everyone thinks they can do it – ha ha! With regard to lack of replies, I think sadly the world has become a very impolite place for many people! Love your work as always and must look for you on Instagram – just started there myself. I don’t think they do too, and that attitude, I will just shoot it myself, well good luck with that. I just don’t really bother trying. I put up a price list so people would stop annoying me, if that makes sense. It has become that that’s for sure. Regarding selling images, your prices aren’t far out of line if you sold through Imagekind, Red Bubble, or FineArt America. If someone wanted inexpensive, perhaps a 5X7 print done on a better inkjet printer as a limited edition for $25 (limited edition is how many you would print, but no more than 10-15 prints). Toss in a little certificate saying it’s authentic. I’ve done it a couple times on a request basis. Surprisingly, they didn’t bat an eye regarding price and shipping cost. Of your gallery, very nice. I especially liked the waterfalls. I tried Red Bubble for awhile, but the biggest problem with those sites is that so many people are on them and most are happy with $25 an image, I’m not. So I deleted my account. I am not looking to sell images, I won’t say no if someone wants to buy one, but I am not going to go out of my way to do it. Your price list seems more than reasonable. I went through a similar issue when I received my degree. Apparently having experience in my field (Graphic Design) is considered deserving of a discount (free) if you are new in the field. Similar to how I feel about my crafting. People assume that if you’re good you should sell, but are never willing to actually pay what it/you are worth. For me putting a price on my time, energy, and effort (experience) and a low-ball one at that definitely takes away the enjoyment of the endeavour. Beautiful pictures as always Leanne! Thank you, that is great, and I know what you mean, you have put it a great way. They want your work, but don’t want to pay for it. There’s a link to my Instagram in the side bar. Your prices are quite reasonable. Are you going to add the price list to the site’s menu? Thanks Doug, it should be there already under galleries, I hope. Yes, the price list menu item there. I guess I missed it somehow. That’s good to hear Doug, I know it isn’t in an obvious place, but hopefully people will find it. Well said Leanne. People have no idea of what it takes to consistently create good work. I think you are so right, they don’t, or they think they can do it themselves. Thank you. I totally agree with the way you have penned this blog about selling pictures.Nevertheless, stunning shots here. Fantastic! Leanne, these photos look fine artsy. I love them. I fear that the digital age has made selling images extremely difficult. I haven’t been able to sell any of my photography. This makes my art an expensive hobby. If I did earn some money I would buy art from you and from others. It has Sherry, it doesn’t help that people think if it is on the internet it should be free. Lovely thought Sherry, thank you. I came to realise a while ago that if I want to make money from this I would have to find the money from somewhere else. I enjoy following you on IG, but it’s always better to see the photos on a real screen. The phone screens aren’t really meant for people that are into photographing. Thank you Cardinal, I know just what you mean, the photos are so small on IG. I know we’ve talked about this before. I understand people might not be able to afford something, but at least they could be polite. I translate books and have people asking me for all kinds of information, prices, how long it would take, and then I never hear back from them, not even to say they are not interested, or not now, or whatever. Fabulous work, and you’re right, quality has a price. That’s it exactly Olga, why can’t they come back and say, sorry I can’t afford that, or it is too expensive, something instead of silence. Thank you Olga, I couldn’t agree more. Thank you for sharing your thoughts of selling. Many other photographers think similarly. They don’t sell any more because web is so full of photo agencies that sell at dumping prices (also vacuity photos). However, the real talent is displayed…gorgeous work, Leanne! I think they do as well, I gave up trying to selling, but I go get inquiries from people and then they are rude, so I hope this will stop that. Thank you so much Pike, such a lovely thing to say. Your images are well worth the price, the issue is people don’t want to pay for art, and don’t see its worth. It is a constant struggle, and it’s great to see you sticking to what you are owed, if I ever make enough money from selling my work, I would love to buy yours! Thank you Sophie, I think you are right there, people don’t, but hopefully they will stop sending me emails now expecting them for nothing, or next too. You are so nice Sophie, thank you so much. Good for you , I hope you sell some at the price they deserve. Thank you Gypsy, that would be nice. Gorgeous work Leanne. I have been approached too. As soon as they find out that you are not thrilled to give away your work, they go away. Go figure. Thank you Beth. I like the way they never respond to the email, so you don’t get no thanks, or sorry can’t afford it, just silence. I know what you mean, how dare we not wanting to just give it away. The sad part is that people must be doing just that. You read articles from pros all time explaining just as you have why they should not be asked to work for free. Very few other occupations suffer such expectations. But you just have to be comfortable with the worth of you work and let it go. Yes, they are, sadly. I was thinking the same thing the other day, about other professions. The reality as well is that no one will get an image that is the same as mine, it is my vision. I am comfortable with it, and that is part of the reason I put up the price list, so the inquiries would stop. Hopefully I will only get serious emails now. Are you “only” selling your pictures or have you created a book with them yet? The book is still coming, though it only has some photos in it, hopefully in the next couple of months. Your photography is always awesome, always thought-provoking. A couple of pictures in this group almost trigger acid flashbacks.